Keith FC are mourning the loss of John Fairclough, who died last week at the age of 97 years. The Englishman, who was born in 1921 in Hindley beside Wigan stayed latterly in Forres, and was believed to be the longest living ex-Maroon at the time of his passing in Doctor Grays Hospital Elgin. He joined the Maroons in 1950 from Aberdeen junior circles, possibly Mugiemoss, and although his Kynoch Park career was relatively shortlived, he had the claim of netting one of the quickest goals ever scored by a Keith player. He nabbed two goals in the 5-1 win against Inverness Thistle on 11 March 1950, with his first strike coming in under 30 seconds. The line up in that game was – Craig, Forrest, Rattray, J McKenzie, Boyd, W McKenzie, Cowie, Carrol, Cruickshank, Auld, Morrice. He went on to score a total of four goals for the Club. He was in the RAF during World War II and served in Burma before moving to Aberdeen when hostilities ended, marrying Marjorie who remains in Forres where they moved to nine years ago. The thoughts of Keith FC are with his widow and their family at this sad time, he will always be part of the Club’s great history. Keith FC are mourning the loss of a true legend following the death just before Christmas of former inside forward Mike Cogan at the age of 83. Although born south of the border in Spennymoor, he was proud of his Highland League involvement, staying in Forres for the latter years of his life. He also played for Forres Mechanics, Deveronvale and Stirling Albion. He will be forever remembered as being a key member of Keith’s first ever championship winning side, their first ever Highland League Cup winning team, first ever Qualifiyng Cup winning side, and also part of an Aberdeenshire Cup winning side. Mike joined the Maroons from Forres Mechanics in the early part of the 1959-60 season, making his debut in the 9-0 home league win against Nairn County on 12 September 1959. He was in the memorable team that dumped Hamilton Accies out of the Scottish Cup with a famous 3-0 win on 30 January 1960. Later that season he figured heavily as the Maroons won the Aberdeenshire Cup defeating Peterhead 5-1 in a two legged Final, Cogan scoring one of the goals in the 4-0 second leg win. He was transferred to Stirling Albion in the latter part of the 1960-61 season, but not before playing a key role as the Maroons won the Qualifying Cup for the first time, defeating Buckie Thistle 7-5 in a two legged Final. Cogan’s eye for a goal again came to the fore as he nabbed a double in the first leg which Keith won 4-2 at Buckie. Cogan rejoined Keith from Deveronvale in January 1962 and fitted perfectly into that great team that won the Highland League for the first time in 1961-62 with such skill and aplomb. Many Keith fans of a certain vintage maintain that is still the finest ever Maroons team. He marked another first when he was in the team that won the League Cup for the first time, defeating Nairn County 1-0 in front of a crowd of nearly 4000 at Borough Briggs on 12 September 1964. The previous season, 1963-64, Cogan was also the Club’s top scorer with 16 goals – no mean feat when you consider that the likes of Dave Whytock, Ivor Smith and Jimmy Smith were in the squad. Cogan went on to play 123 competitive games for Keith, nabbing an impressive 61 goals along the way as well as winning the aforementioned winners medals. He will always be remembered fondly as not only a gritty and skilfull player but also a real gentleman. The last time I met him several years ago in the Kynoch Park Boardroom he was proud to show me his League Cup winners medal attached to a chain around his neck. It was more than appropriate then that a minute’s silence was observed in his memory prior to last week’s home match against Buckie Thistle. He will never be forgotten, and will always be part of Keith FC’s history regarded as a true legend. So with the new season upon us, it brings fresh optimism that this season will bring some pride back to us Maroons. We’re still very much a team in transition but with the management team starting to put their own stamp on things, and the start of this new Supporters Club, we’re positive that this can be the start of a healthy relationship between the club and the community. This Saturday see’s us up against a strong Forres side, managed by local lad Charlie Rowley who we fully expect to be up challenging for the top 4 places again this season. As the World Cup draws to an end and we begin to feel heart palpitations, cold sweats and feelings of nausea…it is important to remember, that Saturday 28th July sees the kick off the new Highland League season. 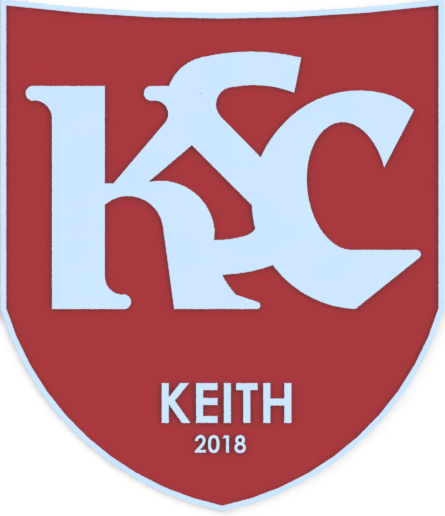 The excitement of the new season is one thing, the anticipation to see Deano’s new looks side…fully fit after a gruelling pre-season is another, but the closed season has also brought an all new Keith Supporters Club to be set up. The goal of this supporters club is rekindle the towns love for football. We are hoping to unite together and get behind the maroons to help put the last few seasons of grey clouds and doom ‘n’ gloom behind us…and instead offer our support from the sidelines, whilst also raising funds to be gifted to the club to spent as we see fit. Keep eyes peeled on the news section to find out more information regarding the plans, and how to sign up.